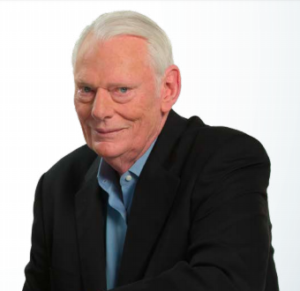 You may not know Herb Kelleher. But if you’ve flown on Southwest Airlines then you’ve been affected by his business and life mantra. Herb was a lawyer in his late 30s when he and a few buddies got the idea to start a discount airline. They wanted to run it as lean as possible while also making it enjoyable for fliers. They faced about four years of legal issues before they could even fly their first route. They entered a heavily regulated industry. They faced huge competition. But through it all, Herb led the company with a great attitude and a great outlook. 1. Think small, grow big. This was the mantra Herb wanted to maintain at Southwest. Many company leaders want to show off their success as their companies grow. Large offices. Fancy office furniture. Company planes. Company cars. The whole deal. Now, I’m not sure that Herb didn’t do any of those things, but Southwest maintained profitability for over 40 years and continues to do so today because they watch their costs and they’re disciplined about their growth. In an era where it’s fashionable to show your spoils of success, Herb was smart enough to put his ego aside for the good of the company. He always acted as if Southwest was small. As if it had to pinch pennies and look for advantages like a newcomer to the airline industry. That thinking led them to be the biggest operator in the sky. 2. We don’t mind being copycats of an operation like that. To start Southwest, Herb and his co-founders flew to southern California to check out the operations going on at Pacific Southwest Airlines. The airline had a great reputation and a very solid business plan. At the time, federal regulations didn’t allow regional carriers to fly outside of their home stages. So the two wouldn’t be competing. PSA allowed Herb to look through their entire operation. Herb thought it was so straightforward and smart that the basically copied it and even partially copied their name. PSA eventually drifted from their original operations standards and was bought out and the name disappeared. Southwest stayed true to the standard and reached great success. Sometimes you don’t have to reinvent the wheel. Find something that works and stick to the standard better than anybody else. Many slip-ups in business come from making things too complex. 3. I forgive business weaknesses as well, assuming that someone is motivated by good intentions. Good intentions matter more than we realize in life. We’re often hard on ourselves for failure. But everybody fails. If you know that your intentions are good then in the long run you will probably find success. In whatever it is you’re doing. It’s also important to recognize the intentions of others more than their current abilities and results. If their intentions align with yours, as the boss, then things should work out in the long-term. If the intentions don’t align, it’s time to move on. 4. Persistence is a part of being an entrepreneur. Can’t say it much more simply. Southwest went through as many struggles as any company. Heck, who else would have fought in court for four years for the opportunity to enter one of the most competitive industries in the world? Herb was persistent. It excited him to do things others thought he couldn’t. He did it for the fun of it all. 5. Employees first, customers second, shareholders third. If the employees serve the customer well, the customer comes back, and that makes the shareholders happy. It’s simple, it’s not a conflict, it’s a chain. Not a bad priority right here. Definitely different from a lot of companies. Now, I think Herb would say that he would look after employees that were worth looking after. If there were problem employees he would fire them and probably look at the hiring process. He wanted to make sure the right people were at his company and then he would do anything he could to help them succeed and be happy. 6. I think people should have fun at work. 7. You have to entertain a thousand ideas for every good one that you get. I’ve heard several successful people say a form of this sentence. It’s easy to live in a consumption mindset these days. We can have anything we want at the push of a button on our phone. It’s very easy to say yes to things. But it seems that a major key to success is the ability to say no. Not just to other people, but to ourselves. 8. If you mention market share I’ll punch you in the nose. During the rise of Southwest the big thing in the airline industry was to get market share. The idea was that the airline with the biggest market share would win. They would spend any amount of money to get market share. Very few big airlines were profitable as a result. Southwest just stayed in the background. They focused on being profitable every year. They grew at their own pace. Herb figured it was better to have 10% of the market and be profitable than to have 90% of the market and not be profitable. It’s no different today in many industries. Market share is a short-term outlook disguised as a long-term strategy. Profitability works well in the short and in the long-term. 9. Let’s focus on profitability. Builds on the last one. Just said a different way. 10. I don’t think you ever get much remembrance. 10 years from now, how many people are going to be looking at that sign and saying, ‘Who the hell is Herb Kelleher? What a good outlook to have. Herb enjoyed life as much as anyone. He knew that in the end it doesn’t really matter. He saw successful people come and go. He knew that life moved on when they were gone. And he knew that it would be okay. Herb didn’t seem to have an ego. He knew he wouldn’t be remembered. Even if he did make a big impact he wouldn’t be remembered. And he was okay with that. It wasn’t about legacy. It was about doing good while he was here and enjoying the gift he had: his life.